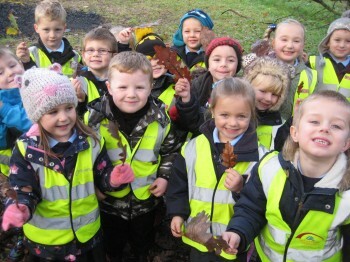 The Robin Rigg West Cumbria Fund awarded Groundwork North East & Cumbria a grant of £3,500 to deliver a 12 month programme for primary school children to connect with nature in their neighbourhood. The indoor and outdoor sessions take place in schools across Workington and surrounding villages and local nature reserves; Harrington and Siddick Pond. “We have been able to extend children’s learning about their local natural environment. We explore in greater detail the habitats what the nature reserves contain, and the animals that they support” said Emma Jenkinson, Project Officer at Groundwork. 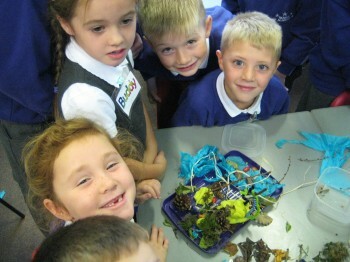 Year Two pupils study Habitats in Science so the trips to the nature reserves fit in well with the National Curriculum. The outdoor trips included a guided walk around the nature reserve, activities are played along the way to keep children active and interested, and to help them explore, discover and learn about the reserves and the environment around them. The follow-up workshop allows Groundwork to extend children’s learning about their local, natural environment. During the session, they explore in greater detail the habitats and animals within the nature reserve. Using a range of natural materials from the nature reserves, the children build their own mini nature reserve and have make bird food during the Autumn and Winter months to support the wildlife at school and at home. The Robin Rigg West Cumbria Fund supports projects that promote sustainable use of energy and energy efficiency, encourage sustainable use of resources and reducing climate change and support nature conservation. To find out more about this fund visit the fund page or contact Grants and Donor Services Officer Annalee Holliday on annalee@cumbriafoundation.org or 01900 825760.